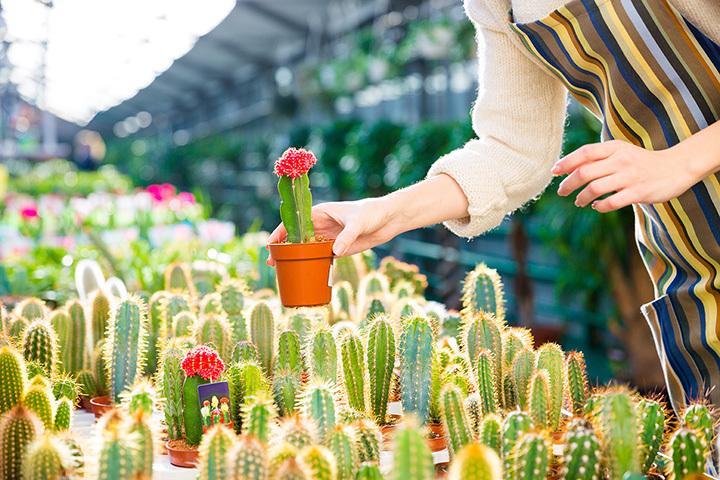 From novice to experienced gardeners, you’ll be sure to find the plants and advice you’re seeking at these great garden stores! Each one offers its own unique atmosphere, from off-the-highway locations to small-town farms to acres of green space. Get lost amongst the perennials and evergreens, and get gardening Rhode Island! Urban agriculturists—you’ve just found your new favorite store to supply your city gardening habit. Cluck focuses on small-scale food farming and encourages raising animals from your own backyard. Even Cluck owns a few chickens in their backyard—where did you think the name came from? You’ll be charmed by the atmosphere of liveliness and greenery that greets you at the Farmer’s Daughter (If you’re that charmed, you’ll be happy to know that the site is also available for weddings!). Every season of the year, the Farmer’s Daughter offers classes in a variety of subjects from raising succulents to designing and growing your own terrarium! With a huge selection of perennials, evergreens, shrubs, succulents and more, you’ll be glad you took the trip out to East Greenwich! Regulars will appreciate Wildwood’s loyalty program, which lets you accumulate money during the early summer to be used just before the fall! Jacavone offers one of the largest nursery collections around at a great price! Just 10 minutes outside of Providence, this family-run garden store is worth a trip beyond Home Depot just for the staff’s immense knowledge of flowers and plants. Schartner began in 1902 on a 150-acre farm. In addition to pumpkin picking and local farmers markets in the summer, you’ll love their greenhouse, which offers a fine selection of flowers. Make sure to head out in the summer for strawberry picking, and don’t forget to pick up some of their famous strawberry jam! This organic farm will teach you what you need so that you can start an organic garden of your own! Pick up some non-GMO seeds or some plant seedlings, and while you’re there take advantage of the staff’s knowledge to learn all that you need to keep your garden growing. With its classic, small town and old-timey hardware store feel, Durfee will make you feel like you’re in the 1930s—when Durfee was founded. Durfee has all you’ll need for gardening and more! GrowRI is the place to go for beginning gardeners or expert nursery owners. You can rest assured knowing that GrowRI boasts some of the best prices around on a variety of products, including lighting equipment, pots, and soils. This indoor gardening store is located not too far from TF Green Airport. The owner, Deb, will make sure to help you out in finding solutions to your gardening problem. Although the store is indoors, its plentiful lighting lends it a warm and welcoming atmosphere.